Eliza Dushku enjoys sunny Mexico, Jaden Smith shares awesome photos from his upcoming movie and Shakira hangs out with an exotic animal! Plus, you'll never guess which former Disney star brought her dog to the set of Jimmy Kimmel! Shakira Red Hot in Gorgeous Gown at Soccer Gala! 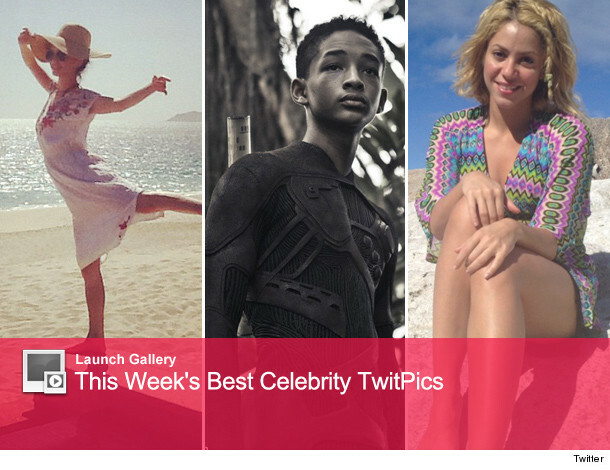 This Week's Celebrity Twit Pics!